Imagine sleeping soundly at your Carillon Lakes community home, confident about your home insurance policy when suddenly, heavy rains come crashing down and water builds up in your area, flooding your basement and garage. You wake up in the morning to find structural damage so you call your policy provider. However, they will tell you that damages because of flooding is not covered in your homeowner’s insurance and you have to pay for the repairs yourself. Mold. Whenever there’s water damage, there is mold. Mold spores embed themselves deep in your drywall and air ducts, making it harder to determine where these are. If you find yourself suddenly having molds in your home for sale in Carillon Lakes community, make sure that you have the means to pay for the removal yourself. Molds are usually not covered by a standard homeowners’ insurance unless it comes with the house when you first bought it. War, nuclear hazard, and terrorism. While we all don’t wish for these to happen to your home, we can never tell. Damages from these kinds of situation are not covered by insurance policies but some do provide coverage for damages from vandalism, riots, and civil unrest. Termites. Both a health hazard and a home hazard, termites can cause about $5 million of damages yearly. These damages are not covered by your typical home insurance policy. However, there are some pest removal services who offer termite coverage. Simply ask your Carillon Lakes community homes REALTOR® for any leads on trusted pest control services in your area. Sewer backups. Much like flood damage, the dangers caused by sewer backups are not covered by your policy. Most of America’s sewer systems are now more than 100 years old and can easily experience the usual effects of wear and tear. When a sewage backs up into your home, it can cause damage to your electrical systems, furniture, walls, and floors. Consider an additional premium of about $50 a year for sewer backup coverage in your insurance policy. Don’t wait until it’s too late. Update your insurance policies today. Learn more about different tips for homeowners in Carillon Lakes community by visiting http://www.LakelandFloridaLiving.com. 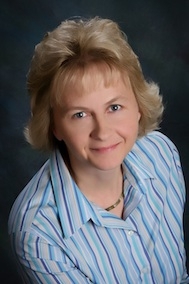 Call me, Petra Norris, at (863) 619-6918 or send me an email at petra@petranorris.com if you’re looking for a Lakeland Florida real estate agent with superior local knowledge, experience, professionalism, integrity, and personal service to help you sell or buy Carillon Lakes community homes for sale. Hello, Petra! This is a great post. Homeowners will appreciate these reminders. Thanks for sharing this! "Don't wait until it's too late." Definitely. Thank you for sharing this well-written post, Petra! Hope you have a lovely day ahead!